About a month ago, Amazon discounted pre-orders for the Zelda: Breath of the Wild: Creating a Champion: Hero’s Edition book by $40. It eventually went back up, but that same discount is live again. If you’re interested, you can pre-order Zelda: Breath of the Wild: Creating a Champion: Hero’s Edition here for $59.99. It normally costs $99.99. Also, as a reminder, GameStop is selling an exclusive version of the book. 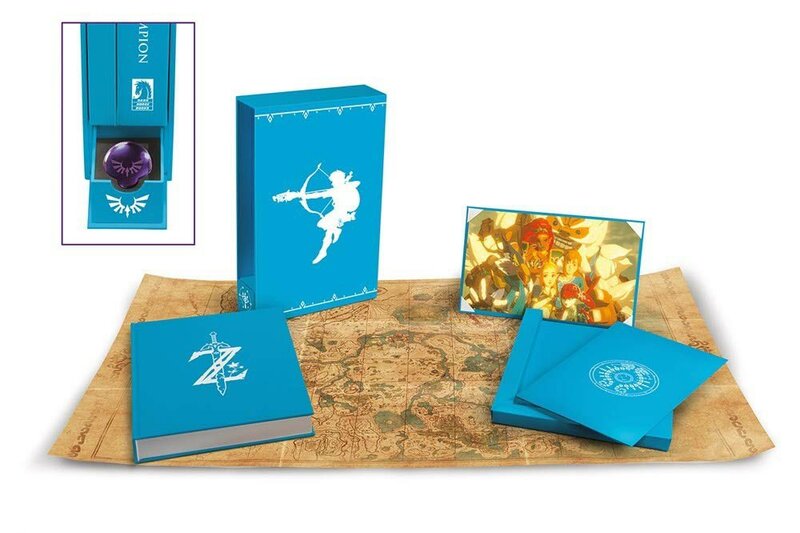 It features a collector’s case with burnished leather with gold foil embellishments, exclusive cover and gold gilded edges, a cloth Calamity Ganon tapestry, an art print featuring the Champions flying into battle, six mini prints of each Champion and Zelda, and four crafted glass Champions’ orbs with laser etchings of the Divine Beast symbols rendered within.